WARNING: All the songs below contain naughty words. Lots of naughty words. 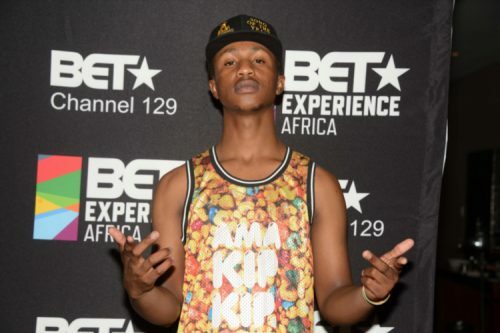 Earlier this week, SA hip-hop’s golden boy Emtee, declared himself the originator of African Trap Music during a Metro FM interview with Bonang Matheba. Trap music, a sub-genre of hip-hop, originated in the southern regions of the US back in the early 90s. It has since made its way to our boarders, and has now gain massive popularity in the South African music industry. From a distance, trap might seem like a codeine-fulled blur of heavy 808 drums, synths, auto-tune and blonde tipped dreadlocks and gold chains – but there is a meticulous method to the apparent madness. The neck-snapping bass drums, infectious melodies and rapid-fire cadences that make up trap, have found their way into the ears and hearts of young SA listeners and become a huge part of the country’s pop-culture. On this week’s edition of #JukeBoxThursday we take a look at some of the definitive songs that fall under the African Trap Music umbrella.